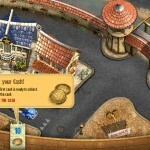 Management Farm Upgrade Youdagames Click to find more games like this. Cheat: All puchases add more. 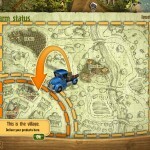 Do you want to experience some country life, like never before? 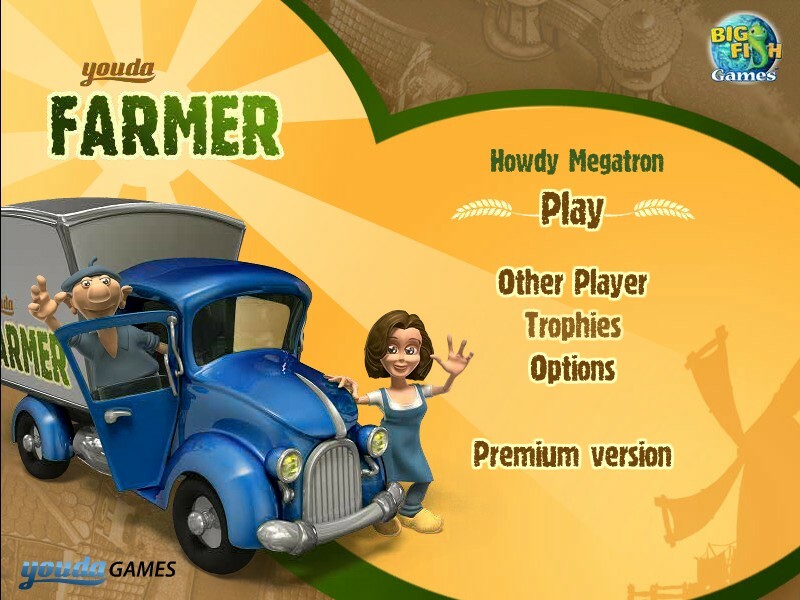 Then here is Youda Farmer! 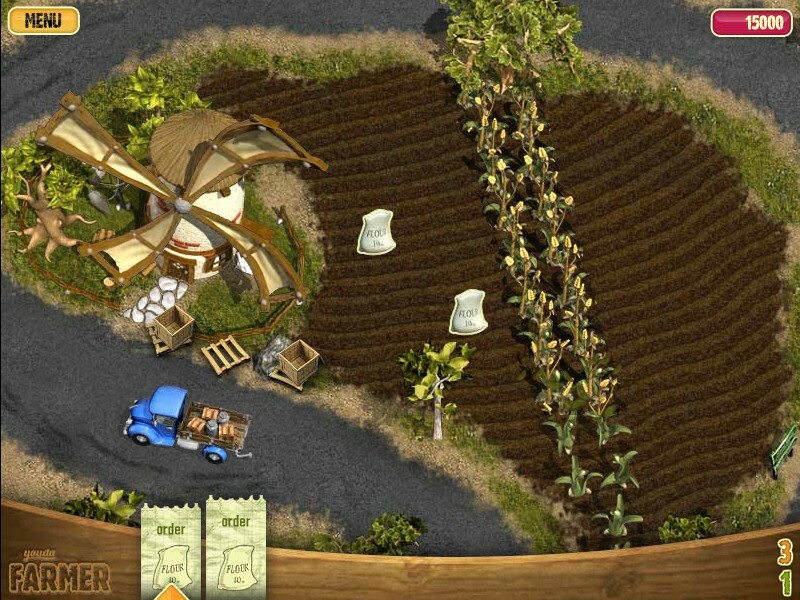 Run your farm, grow your crops and provide all shops with the supplies they need. It's up to you to keep all retailers in this little village happy with your beautiful farm products. You start off with a little farm providing the baker of his flour to make bread for the villagers. 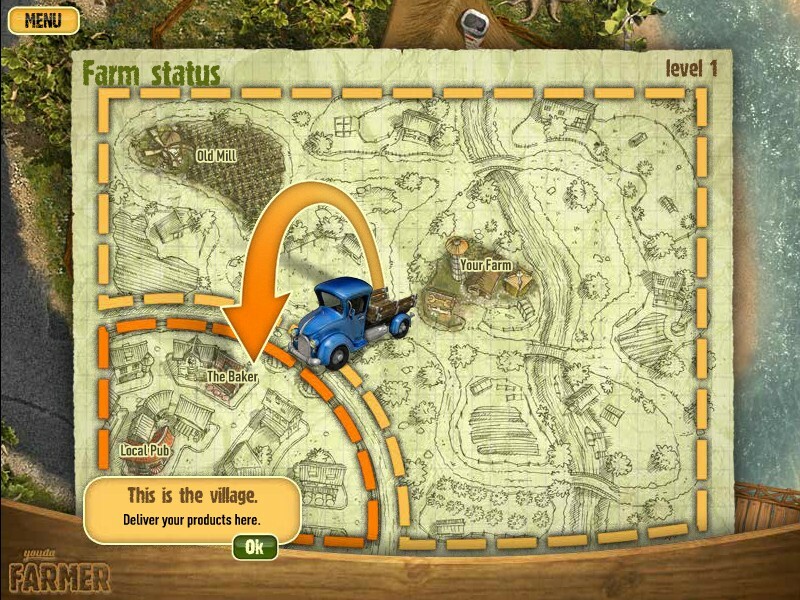 During the game you can upgrade your farm with a chicken coop, stables for your pigs and sheep, fields to grow your tomatoes, grapes, potatoes and vegetables and a pond for your fish. Doing well, more retailers will order your products, expand their business and consequently need more supplies. You are in charge to pick up the right products and deliver them in time. Grow wheat, tomatoes, potatoes and grapes, take care of your cattle and catch your fish. 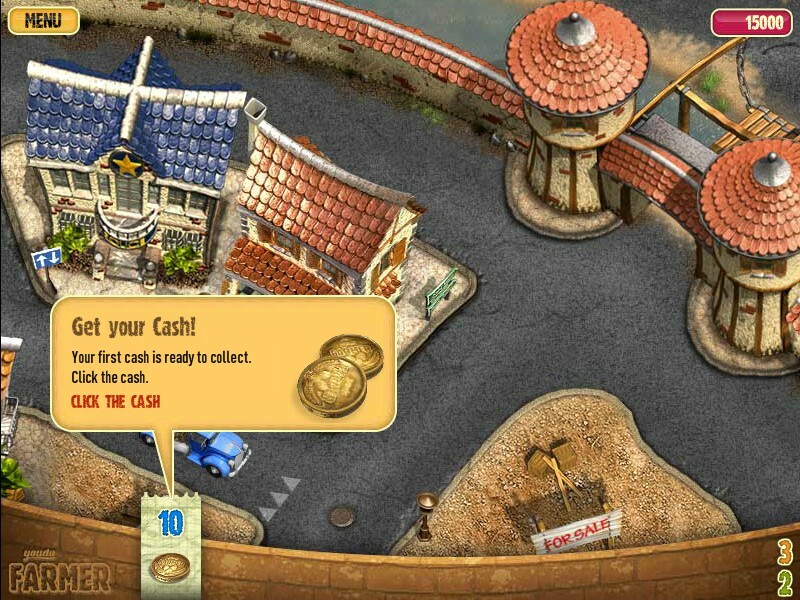 Visit the butcher, the (green)grocer, the tailor or the fish shop to deliver your products. Selling more of your products and earning bonuses make it possible to upgrade your farm with new machinery or storage room to increase your productivity. Food processors to feed your animals faster, a compost grinder to speed up the growing of your crops, hay stacks, water towers and so on! The villagers do work hard, but once in a while they are up for big harvest parties! While doing your business, make sure you pick up the party products to give these people the entertainment they need! 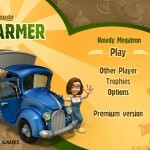 Enjoy the fun of numerous combo's, upgrades and specials in this addictive and beautifully designed farm game! why do you play this game if you dont like it? ?